A well detailed Egg distribution Business plan/ feasibility study sample could be the difference between you owning a profitable egg distribution business in Nigeria. Unknown to many persons, the egg distribution business in Nigeria is actually very lucrative and you can make a ton of cool cash distributing eggs as a retailer or as a poultry farmer in Nigeria. entrepreneur and Poultry farmers can actually earn a very big income each month distributing eggs to targeted customers. its no surprise that egg remain one of the poultry product most in demand come to think about it twice when I tell you that eggs (especially the eggs of chickens) are consumed daily by people everyday thus, underlining a very high and ever growing demand for the poultry product. After payment text your name, your e-mail address and bank teller number to 07036785443 and you’ll receive your Egg Distribution Business Plan In Nigeria / FEASIBILITY STUDY PROPOSAL AND BONUS MANUAL PDF. Egg Distribution Business in Nigeria? Egg is one of the main poultry products that poultry farmers get from their chicken while distribution business in Nigeria basically the when entrepreneurs distribute eggs from poultry farms to egg sellers and individuals alike, Entrepreneurs can distribute their eggs on a daily,weekly or monthly recurring basis depending on the demand of his/her costumers. The profitability of egg distribution business can not be over emphasized as this eggs usually supplied in hundreds, and more commonly thousands, but all ultimately depending on the size, demand, and financial capability of the costumers you will be supplying your eggs to. The colour of the egg shell depends on the breed of the hen that laid it. The colour of the yolk depends on the hen’s diet. The age of a hen affects the size of an egg. Identifying a poultry farm should be the first step you take when starting up your an egg distribution business in Nigeria. You should locate a poultry farm where you can constantly get a large volume supply of eggs from. I would advise that you locate two to three poultry farms you purchase eggs from at very affordable and reasonable prices and most importantly so that you don’t run short of eggs to supply when any of your costumers come calling for a large supply. In Egg Supply business, you are practically your own boss and how much profit you make from your egg supply business depends on your marketing strategy. 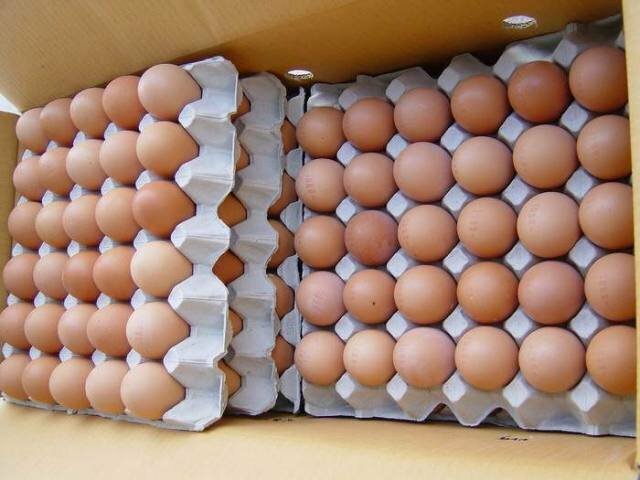 Depending on any size of egg you choose to supply, you cam make a profit of N100 per crate of egg that is if you are supplying as a whole seller but if you choose to sell as retailer you can have profit of N300 on a crate. If you restrict yourself to selling just 100 crates of eggs weekly, that means you will realize profit of N10,000 weekly and this is just N40, 000 monthly. Low and unstable investment in poultry research.